Netgear makes high-speed wireless surfing more affordable with the R6100, world's first 802.11ac with a sub-$100 price tag. The router is immediately available in the US for $99.99. NETGEAR, a global networking company that delivers innovative products to consumers, businesses and service providers, is expanding its market-leading family of next-generation 802.11ac wireless products with the R6100 WiFi Router. The R6100 is a dual band router that supports combined WiFi speeds up to 1200 Mbps* with Fast Ethernet wired connections, providing secure and reliable Internet connections for fast downloads, clearer voice calls, uninterrupted HD video, and lag-free gaming. 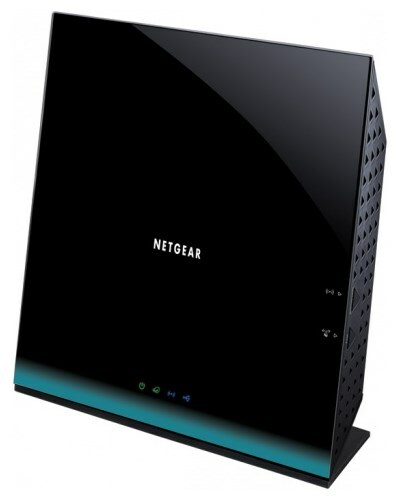 At only $99.99, the NETGEAR R6100 WiFi Router offers the best value and enhanced features for improving your home theater experience and prepares your home network for new or upgraded devices that integrate 802.11ac WiFi support, such as the MacBook Air® and smartphones like the new Samsung Galaxy S®4 and the HTC One®. The NETGEAR R6100 WiFi Router is an affordable solution for upgrading your WiFi home network to the latest and faster wireless networking standard, 802.11ac, which is up to three times faster than 802.11n and backward-compatible with 802.11a/b/g/n devices. The NETGEAR R6100 offers improved performance and whole-home wireless coverage by incorporating simultaneous dual band WiFi technology. The 2.4 GHz band supports legacy devices while the less interference-prone 5 GHz band is perfect for multiple HD media streaming and online gaming. Moreover, the R6100 works with the free NETGEAR genie® app and software for easy installation and network management, ensuring you a hassle-free transition to 802.11ac. NETGEAR genie®: This free app for PC, Mac®, iOS and Android® smartphones and tablets enables you to control, monitor, repair and manage your home network easily through a simple, elegant dashboard. NETGEAR customers can download the utility at http://www.netgear.com/genie or from the Google Play or App Store. Play your music anywhere: NETGEAR MyMedia™ provides the ability to find photos, video or music files anywhere on the network and play them on any DLNA® media player. Print from your iPad®: Support for AirPrint™ enables you to print to any USB or networked printer directly from an Apple iPad or iPhone®. NETGEAR ReadySHARE® USB Access: You can wirelessly access and share USB hard drives via the USB port.